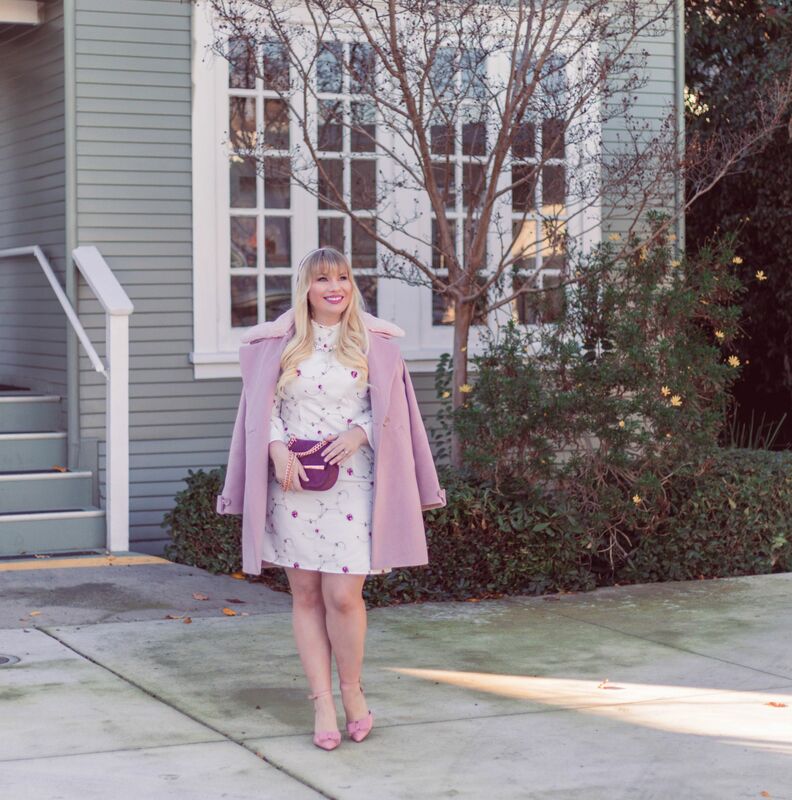 With Valentine’s Day on the horizon, I’m dreaming of all things pink and pretty! 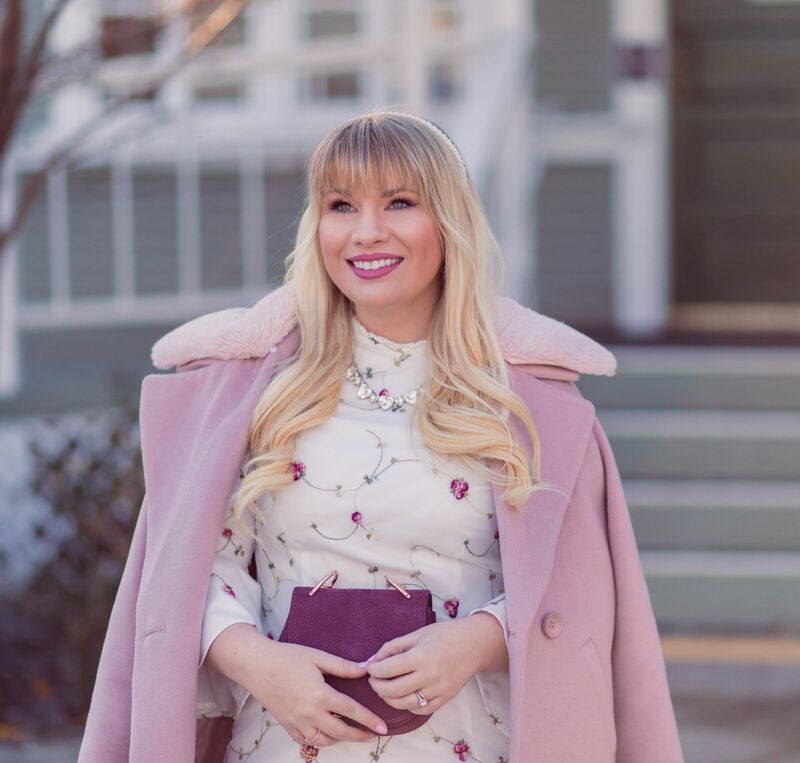 And while I have no shortage of pink outfits, wearing the hue during this time of the year just feels extra special, which is why I’m loving this feminine Valentine’s Day Outfit! Aside from Christmas, Valentine’s Day is my absolute favorite holiday! In fact, if I were personified as a holiday, this would be it – it’s pink and sparkle and hearts galore! 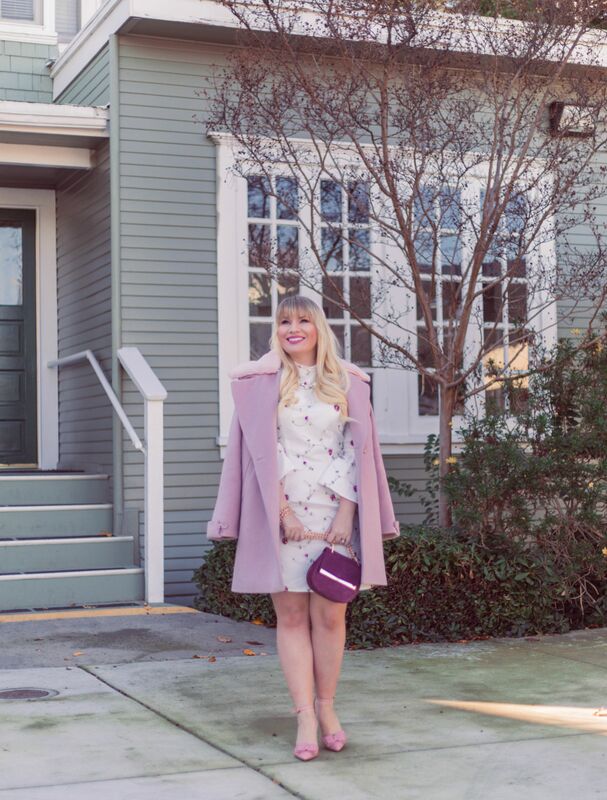 I’ve always enjoying celebrating by baking heart-shaped cookies, decorating handwritten cards and of course, choosing an outfit to wear for the day (or date night). This embroidered floral dress has been on my wishlist for quite some time and I think would be not only be the perfect canvas for a feminine Valentine’s Day outfit, but it would also wear well for spring and summer as well. Plus it has the cutest ruffled neckline and bell sleeves! 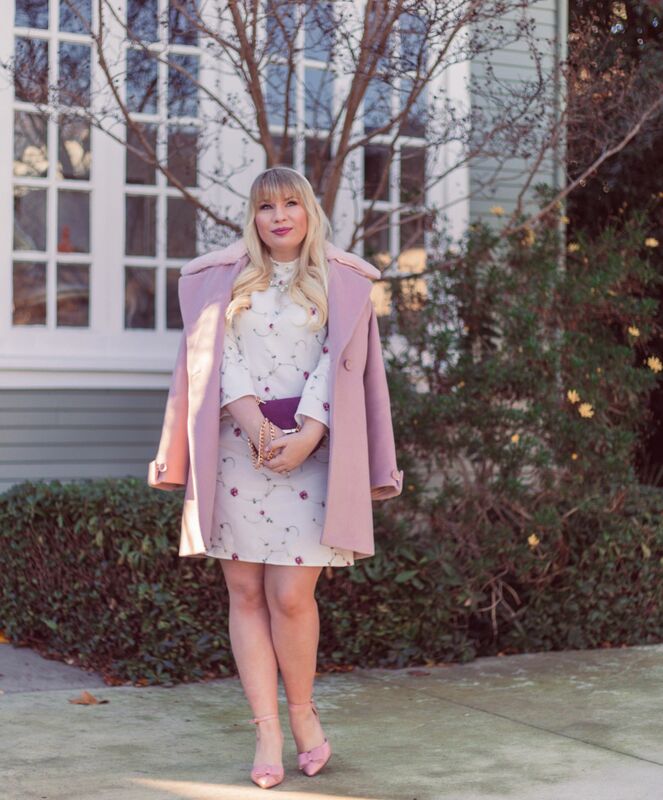 I added layer of pink on top with this gorgeous faux fur collared coat and accessorized with matching bow heels. I pulled the burgundy from the floral embroidery and added a luxe saddlebag with rose gold metal detailing. 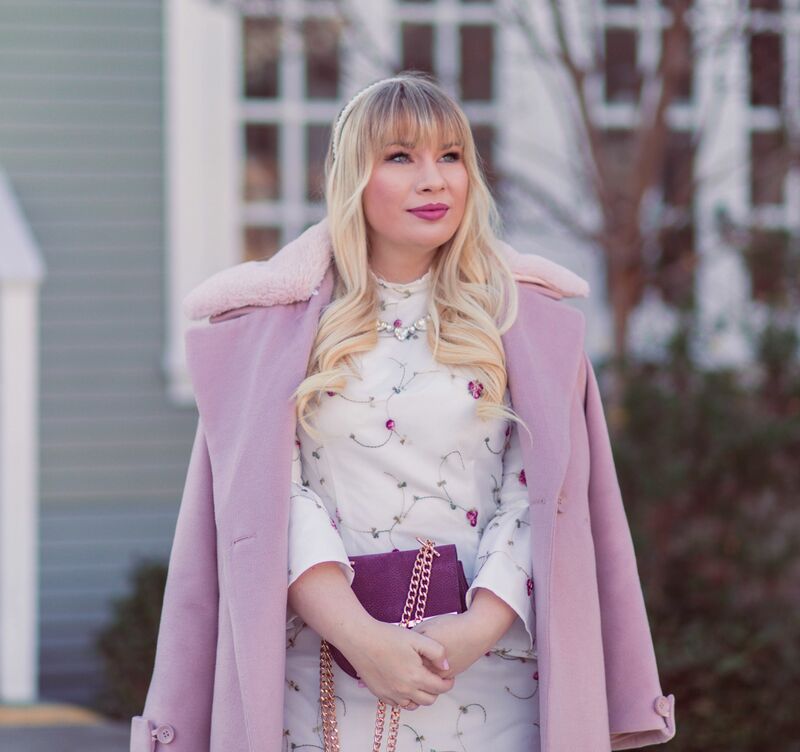 The finishing touches on my feminine Valentine’s Day outfit were a sweet pearl embellished headband (one of my favorite 2019 trends!) and the most adorable heart shaped necklace. 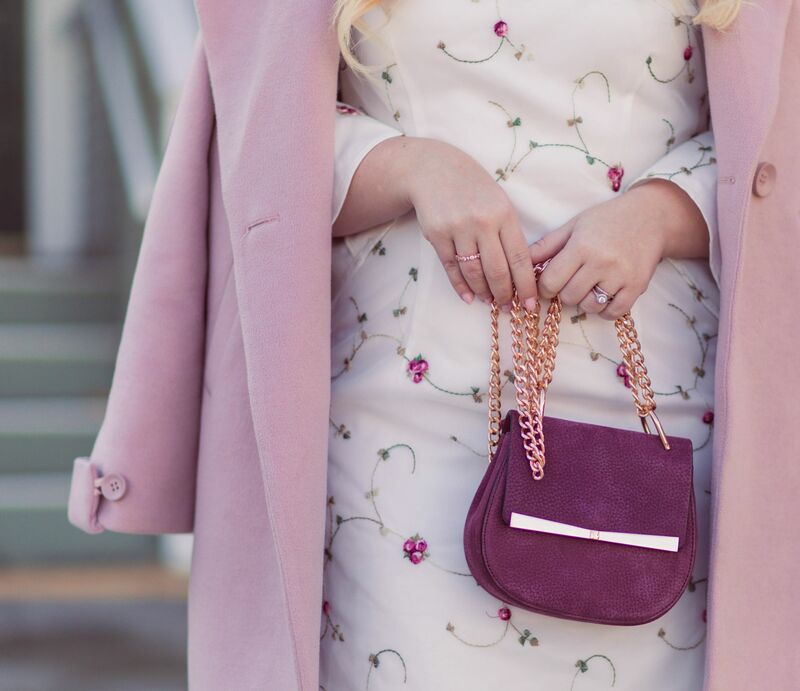 Are you a fan of wearing pink for Valentine’s Day? 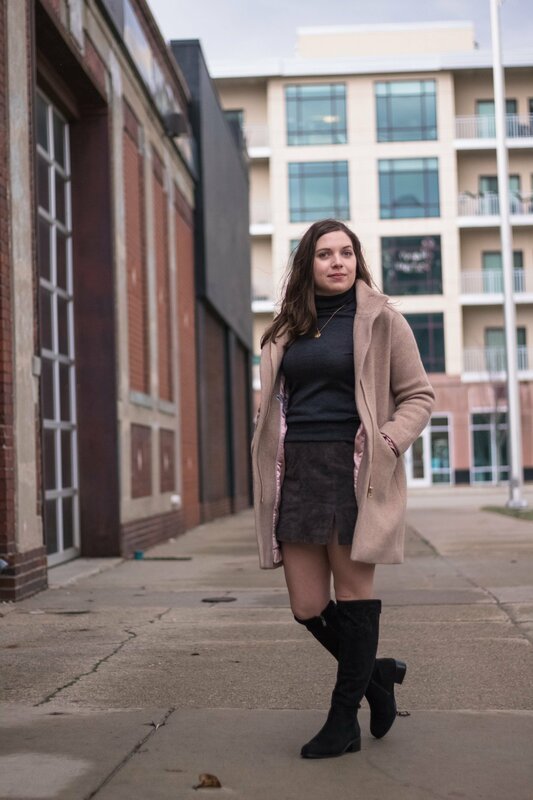 I love this monochrome winter outfit (and the pop of blush! ).